Long before Yao. Before Jordan. Before Bird, Wilt or Cousy. Before the CBA or the NBA. Well before Mao or Dr. Sun rose to prominence even, it had already taken root. Rapidly gaining in popularity, winning converts everywhere, and spreading across the vast reaches of a giant yet crumbling empire. China�s enduring, ever growing love affair with basketball first began with a little help from above. And from overseas. 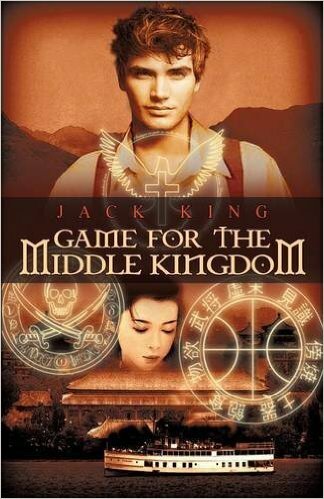 An adventure saga filled with heartbreak, temptations, dangers, selfless mission, and delayed true romance--unlike any other story you�ve ever read: Game for the Middle Kingdom. 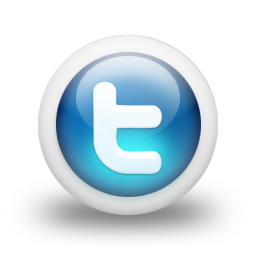 TJ�s an ordinary fourteen year old kid with extraordinary problems at home and school. He has a broken family from his parents?bitter divorce. He faces evil bullies attacking him almost every afternoon, failing grades when he�s really a smart kid, boring classes, snobby girls, mean teachers, being cut from basketball tryouts, and few friends. Yes, life is rough for TJ Cockrell. Then a mysterious green book inexplicably throws TJ into the past. And not just any past, but the untamed forbidding forests of 1802 eastern Tennessee, with savage Indians, wild beasts, bloodthirsty robbers, backwoods ruffians, strange characters galore, and rugged log cabin living. Yup, it�s definitely not present day Knoxville Tennessee anymore. TJ thought his present life was bad news, but his adventures have just begun. 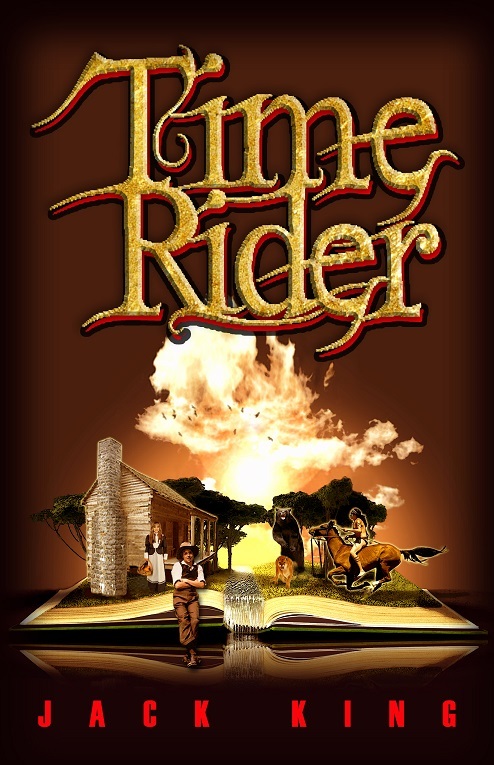 Along the way, he fights off killer beasts, bandits and braves, meets the cocky teenaged David Crockett, gains a world of assurance in himself, finds his first real love, and is befriended by a fantastic frontier family who really has it together. The intrepid time-traveler TJ Cockrell is back! But this time it�s to rescue his girlfriend, Samantha. Sam�s unknowingly been blasted into the past by the green book. It�s 1814. All around her Sam sees people stampeding in terror. A White House across the way looks like a shell of the famous building she�s seen on TV, internet, and magazines. What the devil�s going on? Sam soon is catapulted into a fantastical journey: Accompanying soldiers rushing to defend nearby Baltimore, seeing the awesome sight of Old Glory still waving over Fort McHenry, joining a traveling tribe of gypsies, landing briefly in jail in boisterous old New Orleans, and painting portraits of passersby outside the famous Hotel DeVille to survive. Stunned, TJ discovers Sam�s been sent into time. But where? When? Trusting the green book, TJ is hurled back, too. Yet Sam�s nowhere to be found! 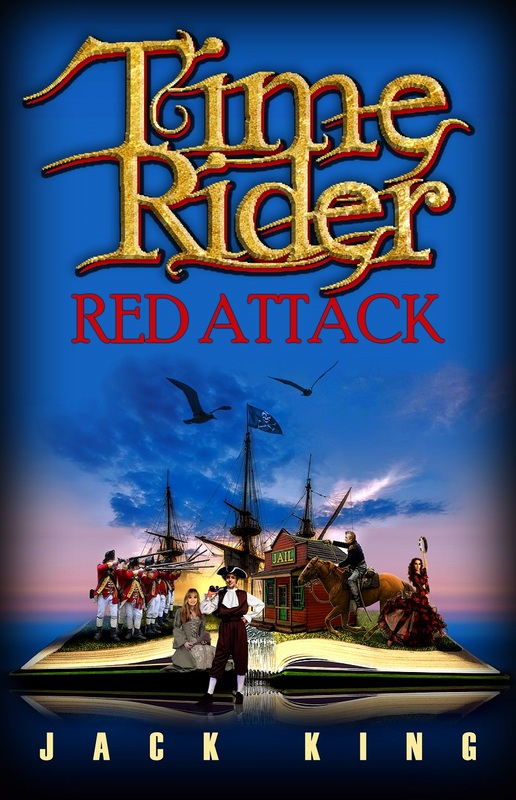 His own adventure lands him a prisoner of war in Spanish Florida, a captive participant in a bloody attack on a U.S. fort, a member of Jean Lafitte�s pirate crew, and a day watchman for a New Orleans jailhouse. Meanwhile, TJ�s dad arrives home. Finding both Tege and Sam gone into the past, he must go after them. The chase is on! He lands as a soldier in General Carroll�s militia in Tennessee, who�ll face intense fighting at the center of Jackson�s line in the Battle of New Orleans! Three travelers. Twisted trails. Will they crisscross before the climactic clash? Copyright 2014 - 2016 Jack King. All Rights Reserved.